Obituary for Mr. Gregory Stuart Williams | William Toney's Funeral Home Inc.
Mr. Gregory Stuart Williams age 59 of Spring Hope, departed his life on Saturday, January 19, 2019 at his residence. 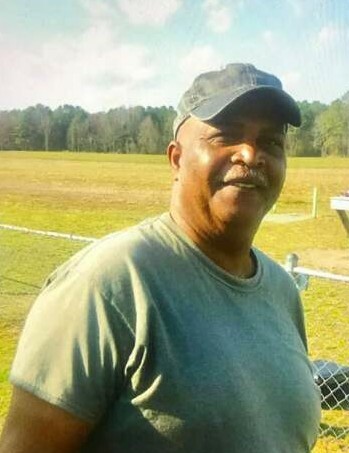 Funeral service for Mr. Williams will be held at 12:00 PM on Saturday January 26, 2019 at St. Stephen Baptist Church in Spring Hope. Burial will follow in Meeks Cemetery. Visitation will be held on Saturday from 11:00AM-12:00PM at the church prior to services. He is survived by: his wife, Doris E. Williams; his children, Monica Williams and De'Angelo Williams of the home, Tabitha Harris of Wilson and Corey Harrison; sister, Tara W. Arrington of Nashville; brothers, Kenneth M. Williams (Elizabeth) of Raleigh, Oscar Williams, Jr. (Josephine) of Manhattan, NY and Tyrone Williams (Barbara) of Raleigh; grandchildren, Aaliyah Williams, Iyonna Dickens, Mar'Quaveon Cotton and Amir Rawlins; aunt, Evelyn S. Woods of Manhattan, NY; uncle, Clarence Williams of Raleigh; his-in-laws, Linwood and Esther Evans of Wilson;a host of nieces, nephews, other relatives and friends.